50% of scheduled fee payable prior to next scheduled session or via credit card deduction if not paid within 30 days. **PLEASE NOTE THAT TAC, MEDICARE AND PRIVATE HEALTH REBATES ARE NOT AVAILABLE FOR NO SHOW/LATE CANCELLATION FEES. GP’s may prepare a ‘Better Access’ Mental Health Care Plan (MHCP) to refer their patients for psychological support. MHCPs can be used by patients to access both individual and group sessions. Eligibility is assessed by your GP and close monitoring and review by your GP is recommended. A standard (“Better Access”) plan will allow for six therapy sessions, then following a GP review you may be eligible for another four sessions, to a maximum of ten claimable sessions per calendar year. Medicare pays a rebate for the cost of these sessions, this rebate is more if families have reached their Medicare Safety Net threshold. Please read more about the Medicare Safety Net threshold below. Our registered Clinical Psychologists attract a $124.50 rebate under Better Access MHCP and our registered Psychologists attract an $84.80 rebate under Better Access MHCP. GP’s can also prepare EPC or Chronic Disease Management plans for children who require access to a number of different therapy services. These referrals can be used to access Psychology, Speech Therapy, Occupational Therapy and Paediatric Physiotherapy services. An EPC referral allows a child to access up to five therapy sessions over a 12-month period. Medicare pays a rebate for the cost of these sessions (minimum $52.95), which is more if families have already reached their Medicare Safety Net threshold. These referrals are for the assessment, diagnosis and/or treatment of Autism Spectrum Disorders. Medicare pays a rebate for a set number of Psychological, Speech and Occupational Therapy services (minimum $84.80 rebate per session). Families may be eligible to claim a greater rebate if their Medicare Safety Net threshold has been reached. 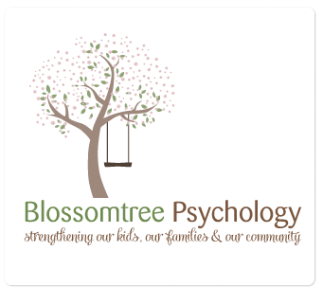 up to four diagnostic/assessment services delivered by psychologists, speech pathologists, occupational therapists, audiologists, optometrists, orthoptists or physiotherapists to assist the referring practitioner with diagnosis or to contribute to a child’s treatment and management plan (for a child under 13 years of age). up to twenty treatment services delivered by psychologists, speech pathologists, occupational therapists, audiologists, optometrists, orthoptists or physiotherapists (for a child under 15 years of age, providing a treatment and management plan is in place before their 13th birthday). Individuals with a diagnosed Autism Spectrum Disorder, who hold a Health Care Card from Centrelink, are eligible for a reduced Medicare Safety Net Threshold to assist with the costs of health care services.